Wiggle, Wiggle, War Darn Eagle. 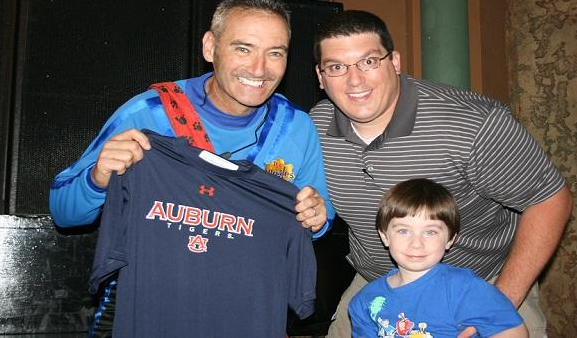 Celebrities in random Auburn shirt stories are a dime a dozen. An Auburn shirt turning a celebrity into an Auburn fan story is not. Thanks to 2002 Auburn grad Rinkey Stanley, Jr., David Housel’s goal of securing the hearts and minds of Tide children has never been more achievable. You can read the full, true story on the Auburn Magazine blog. Related: Zac Efron in an Auburn shirt.